I'm in the process of putting a Valve Jr. mini-stack together due to the relative low cost and ease of modification. Before I start replacing the electronics, my plan is to first upgrade the tubes and/or speaker. My goal is to minimize noise/gain/breakup and optimize headroom to the extent it's possible. Any advice/critiques would be most welcome. Thanks! Those are fun little amps and get pretty exciting with some of the mods that are available. You don't say which version you have so what mods would be best are hard to say. But in my experience, I would look at fixing some of the electrics before I spent money on speaker or new tubes. My speaker was fine for a long time, but the hum was distracting as heck. And while a tube upgrade may help, keep your old tubes in while you are doing the mods just in case you screw up. Check a couple of the valve jr. mod sites for what might work best for you. sewatt.com has some good ideas. Thank you for the input, I appreciate you taking the time to give feedback - particularly the mod website. I had not found that one yet, and do intend to mod the head (it's either a V2 or V3) eventually. However, I'm still looking for some input regarding reducing noise via the tubes and speaker. I have to keep things quiet and noise reduction is top priority and are easier upgrades in the short term. 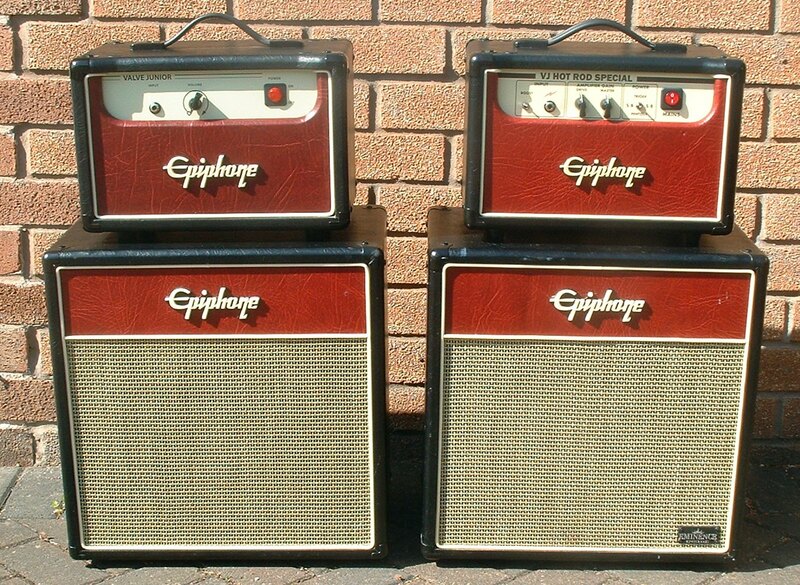 Plus I want to put in an 8ohm speaker because I'd like to bring in other small-ish head(s) (like a Bassbreaker, Marshall DSL, etc.) over the long term. Changing the speaker will do nothing for the electronic noise, although it will change the tone. Getting the tubes biased correctly and replacing the caps with something higher quality will help the noise and will be cheaper than expensive new tubes. Unless you correct the inherent noise problems, all changing the tubes will do is give you more expensive noise. One caveat on the tubes - I found that the original Sovteks in mine distorted easily due to corrosion and what seemed to be poor quality metal on the pins. I replaced them with JJ Golds and it cleaned up the tone, although the noise was still there. A mod kit to update the caps and fix the bias turned it into a much nicer amp. I really like these. I have a V3 head. I had one of the V1 combos. It sounded great and had zero hum. It developed a slight tear in the tolex. I made the mistake of taking it back and getting a new one. The new one had nice tone but a major hum problem. I changed out the speaker to a Jensen P8R ALNICO magnet. It still had the hum. I sold it and got a Blackstar HT-1 when they first came out. A couple of years later I got a used V3 head. Not only it does not hum but the tone is even better than the two prior VJ combos I had. These were way cool for the price. By the way, on the VJ I sold I put the old original speaker in it before I sold it. I love my valve juniors. I have 2, both V3 heads and cabs. one of the heads has The "Rat Amps" Hot Rod Specials mods applied to it. I sometimes stack these using the Hot Rod as pre-amp into standard then feed to both speakers.